An after work visit to No.6 tank and a fine selection of raptors on show. The female Marsh Harrier was perched up throughout the duration of my visit. It was later joined by two more birds towards dusk. A female Merlin was perched up on a small brance in the middle of the water. The ringtail Hen Harrier put in a brief appearance while 3 Kestrel, a single Sparrowhawk and 4 Common Buzzard. A Short-eared Owl joined the harriers quartering the reed beds. A Peregrine was sat on top of the blue chimney. Ducks featured 24 Tufted Duck, small numbers of Eurasian Teal, 19 Common Shelduck, 74 Northern Shoveler and 2 Gadwall. 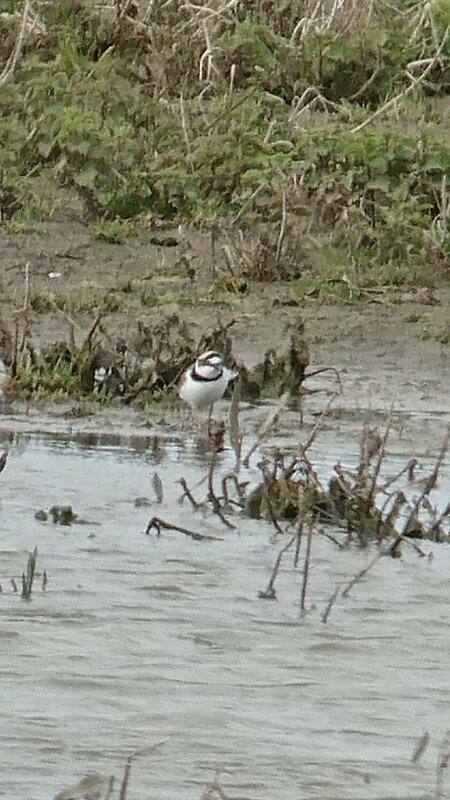 Earlier in the day Sean O’Hara (image 2) found a couple of Little Ringed Plover on the mitigation pools. Colin Butler saw a Stonechat (image 1 & 3) and a pale morph Common Buzzard.